That sounds like the Orci that makes Star Trek fans grind their teeth. Now that Orci is no longer in the director’s chair, there have been tons of questions swirling about. Perhaps the biggest one, who will helm this picture, was answered the other day when Fast Five’s Justin Lin was given the gig. But that still leaves the story to contend with. Basically all we know at this point is that Orci won’t be writing it anymore. We’ve heard rumors that it involves various factions racing for a time travel device, which could lead to even more tinkering with the timeline. 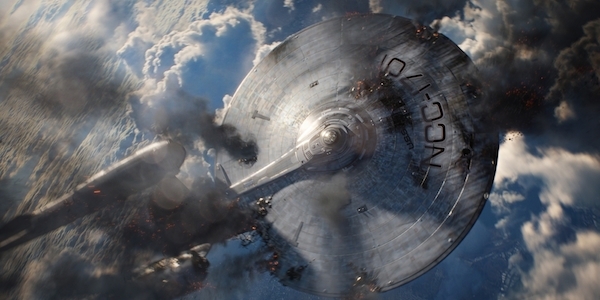 Out of everything we’ve heard, however, the most promising bit is that the plot supposedly picks up a few years from Star Trek Into Darkness, and finds the crew of the Enterprise in the midst of their five-year mission. That’s refreshing to hear, because after two films that spend the majority of their time and focus on Earth, we really, really want to get out into deep space and find out what’s going on out there. Regardless of how you feel about the new movies, whatever happens, we’d way rather have it happen in space. One report about why Orci lost the directing job, which would have been his first ever, is because Paramount Pictures wanted to steer the franchise more in the direction of Guardians of the Galaxy. What that means exactly is unclear—many speculate it means playing up the strange creature angle of the series—but apparently Orci wasn’t on board with that strategy, which led to the split. As with most big tentpole movies like this, we probably won’t know a ton until we actually sit down in a movie theater, but at least we know when we’ll see Star Trek 3. Paramount recently announced the film will open July 8, 2016, which just so happens to coincide with Star Trek’s 50th anniversary. Are you excited for Star Trek 3? Do you think Orci’s lessened role will help or hurt the picture? Sound off below if you’re so inclined. I actually liked the first Abrams Trek and while the second wasn’t as good as I had been hoping for, it wasn’t horrible either. That all said, Orci’s attitude is terrible. What a spoiled brat, “that’s why I make movies and you don’t”? Seriously? Look out for instant karma dude. The sad thing is that most of the actors have done quite well in their respective roles while not being overly dirivitive of the originals. I felt like that first scene of Into Darkness on the crazy alien planet with the volcano felt like a modern version of classic Trek… Oh what the he k, it felt like Galaxy Quest; and that’s a good thing. Then it just turned into something else. Take these actors and just put them into classic TOS or TNG type scripts that will last 120 minutes and you’d have gold. I like the first Abrams Trek as well. I a lot of why people seem to dislike Orci so much is because of his attitude. Instead of just accepting that maybe some people didn’t like Into Darkness, he gets really combative over it, and does stuff like that. He pissed off so many people that he basically left the internet.